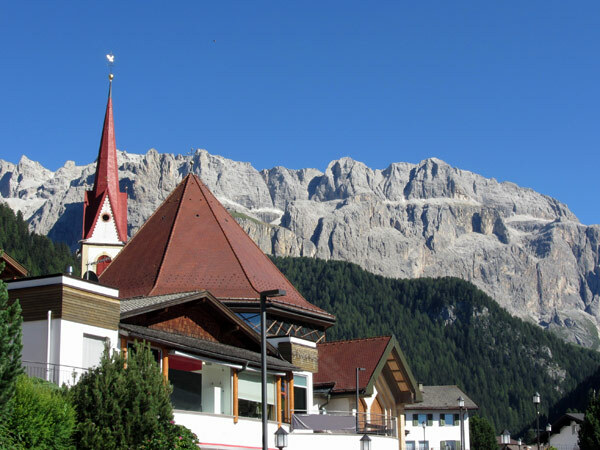 Numerous sights in Ortisei, S. Cristina and Selva will turn your holiday in Val Gardena even off the slopes and hiking paths into a special experience. 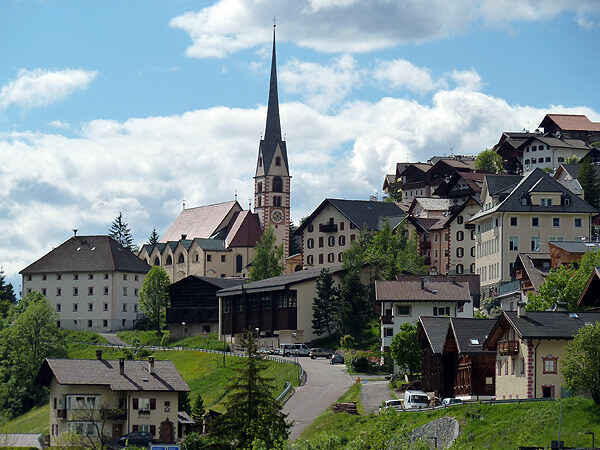 Val Gardena, the valley in the heart of the Dolomites, offers many attractions for visitors interested in culture. 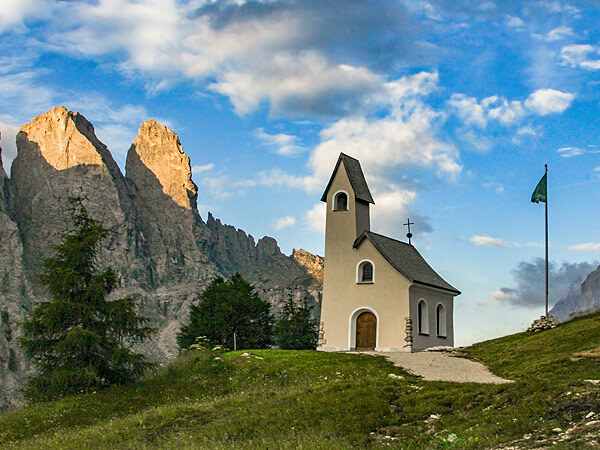 Churches, chapels, museums, monuments and ruins from bygone times and monuments nestled in the impressive natural scenery of the Dolomites are popular sights of Val Gardena and suitable destinations for the whole family. 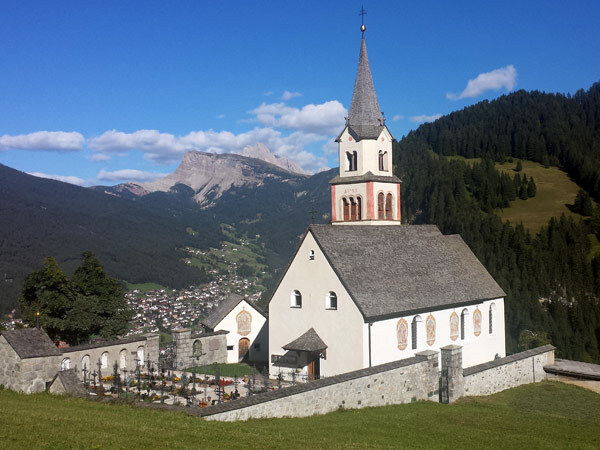 The parish churches of the three villages Ortisei, S. Cristina and Selva are equipped with beautiful wood carvings, numerous pictures and statues from local artists. 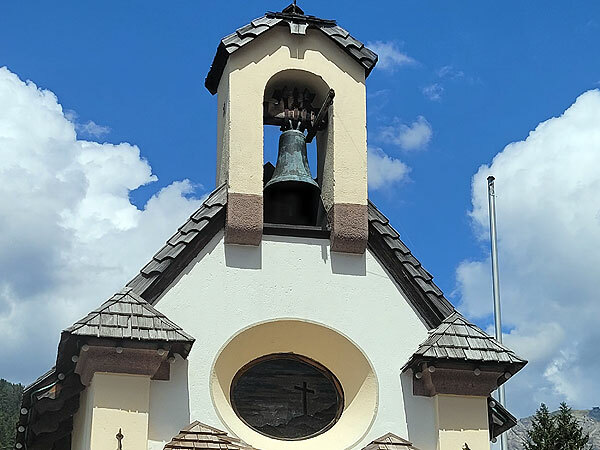 Especially worth mentioning is the church of S. Giacomo, the oldest church of Val Gardena as well as plenty of chapels and small churches, partially built at the alpine pastures and mountain passes. Well preserved castles like the castle Gardena and ruins, like the castle ruine Wolkenstein or Stetteneck are witnesses of the early settlement of the valley and also worthwhile destinations. Monuments of famous personalities are furthermore popular sights of Ortisei, S. Cristina and Selva. 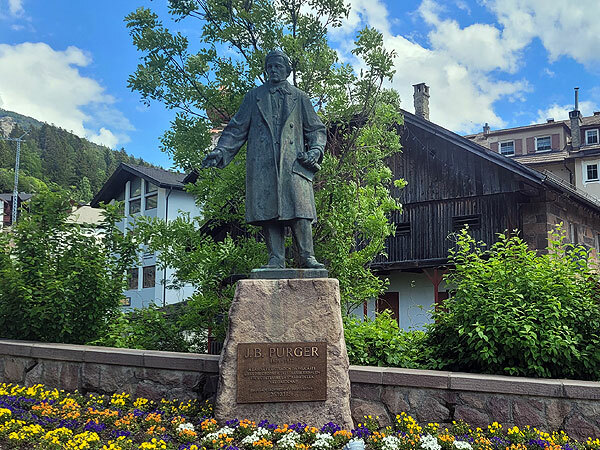 Amongst them is the Luis Trenker monument, situated on the promenade of the same name, which is dedicated to the world-famous son of Val Gardena. The remarkable sacral building dates back to the late baroque period and has been added with two side aisles at the beginning of the 20th century. Especially worth seeing are the numerous wood carvings, ceiling frescos and paintings in the inside of the church. The St. Antonio chapel on the main square of Ortisei in Val Gardena was built among the years 1673 and 1676 in the renaissance style. 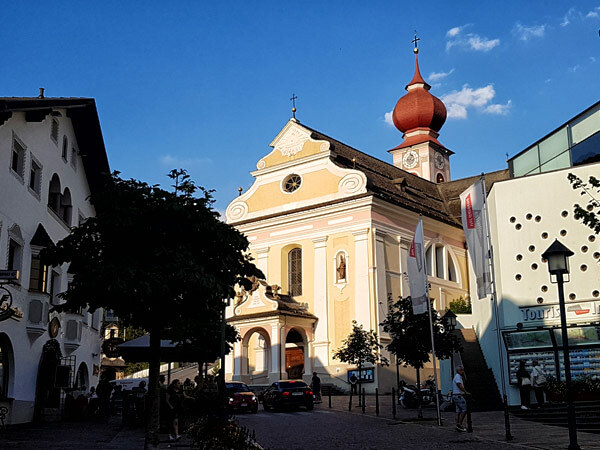 Particularly noteworthy are the side altars with the oil paintings of Josef Moroder-Lusenberg, the altarpiece depicting the chapel’s patron saint, S. Anthony of Padua and the Lourdes-grotto with Madonna sculptures. The St. Anne’s chapel was built in the 15th century and is situated at the cemetery of Ortisei. Worth seeing is the baroque altar and the old gravestones and memorial tablets. The church of Saint Giacomo dedicated to St. James the protector of pilgrims and hikers, is situated above Ortisei and is only reachable via idyllic walking paths. 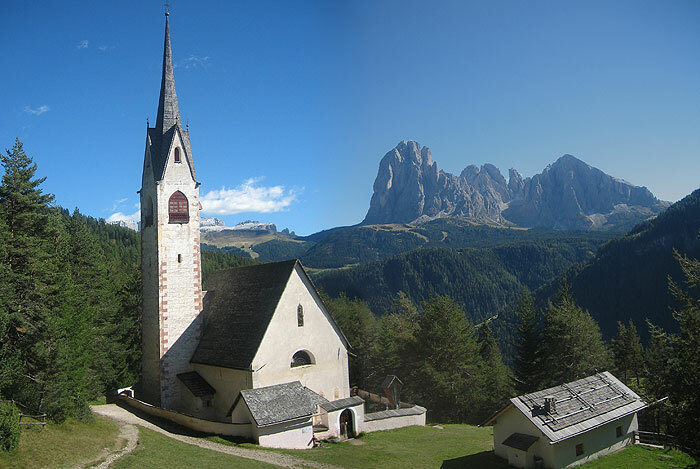 According to historic documents it is the oldest church in Val Gardena, with origins going back to the 12th century. Worth seeing are the gothic frescos, the wall paintings next to the pulpit and the carved baroque altar with gold plated figures. The sculptures and some art objects are good reproductions of local artists, the valuable original can be found in the Museum de Gherdëina in Ortisei. 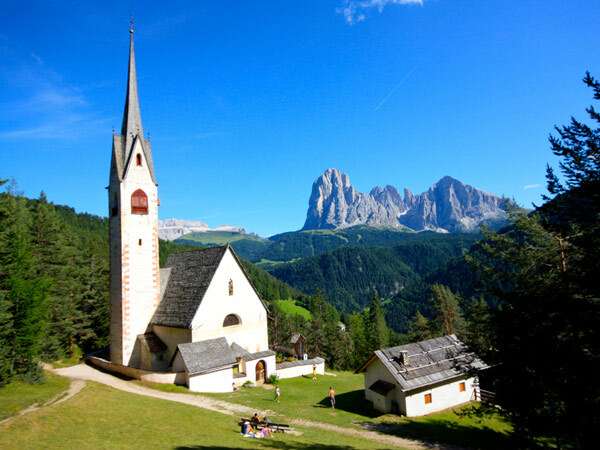 The church of S. Cristina is the oldest parish church in Val Gardena and has first been mentioned in a pontifical letter of indulgence from 1342. The remains from the Romanesque church of former times is a part of the bell tower. Later rebuilding and additional structures changed the original character of the church. Especially worth seeing is the high altar surround (created 1690 in the workshop of the famous Vinazer family of sculptors). 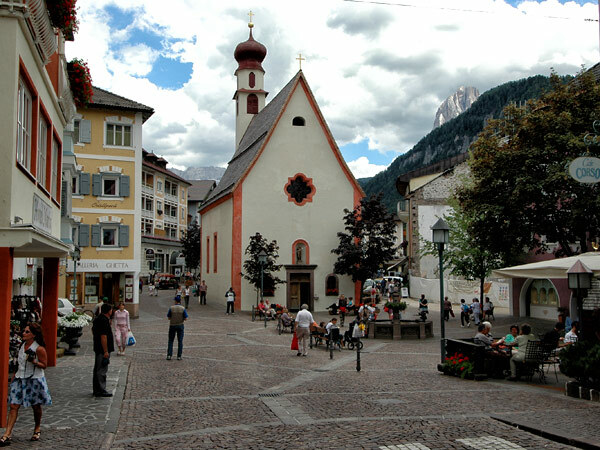 The parish church St. Mary’s is a popular place of pilgrimage in Val Gardena. The neo-Gothic nave from the 19th century was replaced in 1988 with a modern construction. The beautiful sanctuary from 1670 with the miraculous image on the high altar was preserved. 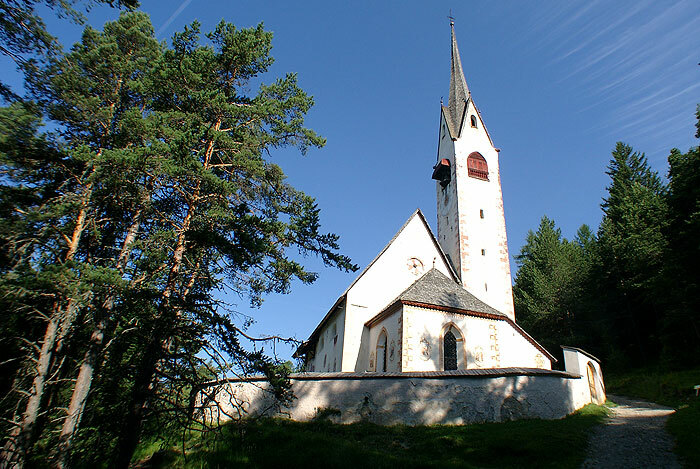 The parish church of Selva has its origin in the chapel “Maria Hilf” which was built 1503 by Wilhelm von Wolkenstein. The chapel had to be enlarged for several times to cope with the large numbers of pilgrims. 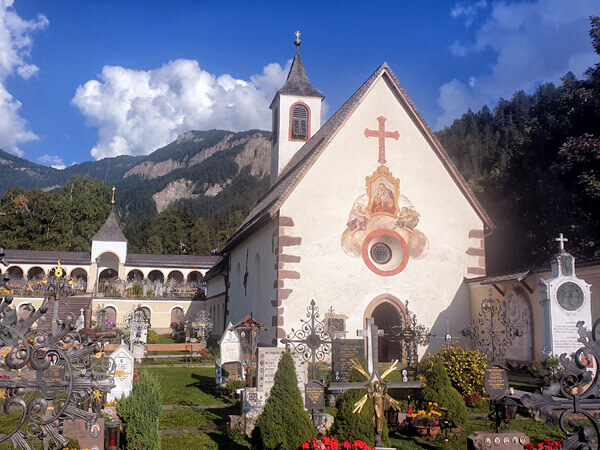 The beautiful, little silvester chapel is located at the entrance of Vallunga in Selva. It is dedicated to the patron saint of cattle and since time immemorial a popular place of prayer. In 1993 restoration works carried out 300 year old, precious frescoes depicting the life of Jesus. 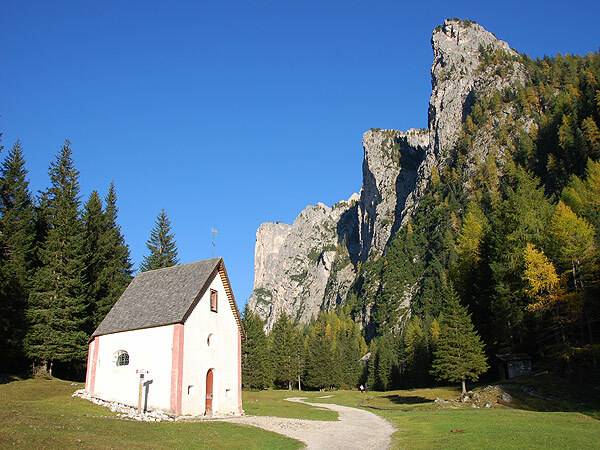 The memorial chapel at the cemetery of Selva reminds of the mountaineers who lost their lives in the Dolomites. Their names are engraved for posterity in the great brass book. The chapel at the „Passo Gardena“ is dedicated to the holy Maurizio. 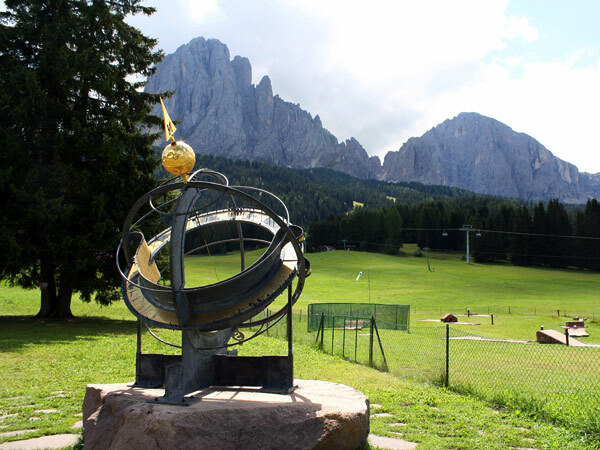 It was built by the Alpini group Val Gardena and inaugurated in the year 2004. The parish church of Bulla dates back to the 13th century and was dedicated to the Holy Leonhard. Besides the beautiful roman construction style also the high altar form the 18. century is particularly noteworthy. 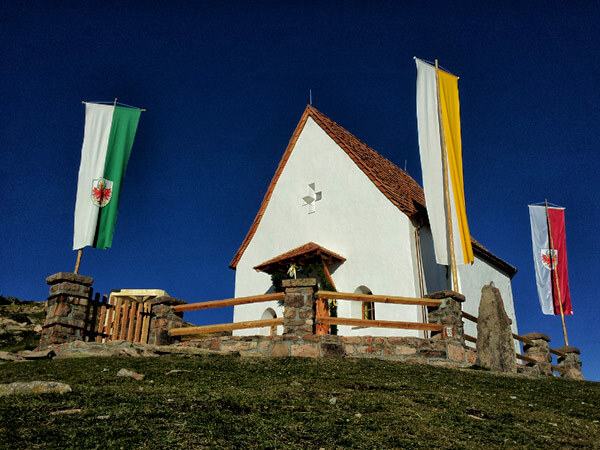 Highly recommended is a hike to the Heilig-Kreuz-Chapel on the “Rasciesa di Fuori” in Val Gardena. 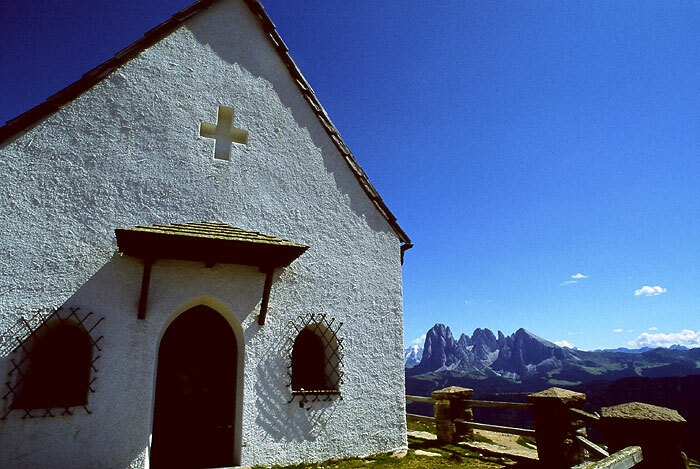 The chapel, which was built in the year 1755, is located at an altitude of 2200 m and offers breathtaking views over the Dolomites. 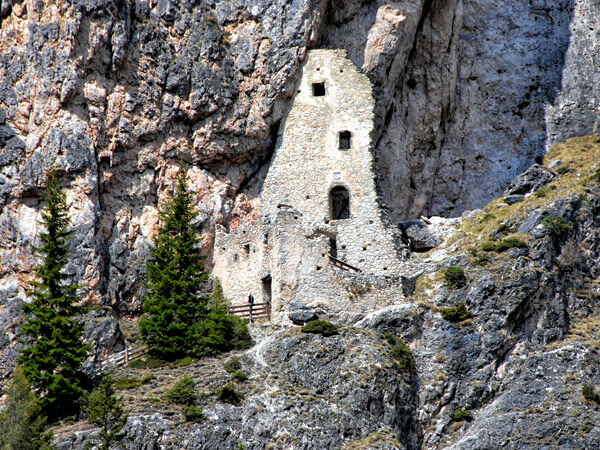 The ruin of Wolkenstein castle, a popular destination in Val Gardena, is reachable on a short but steep path from Vallunga in Selva. The medieval remains of the wall are located at an altitude of 1600 meters in the Stevia wall. 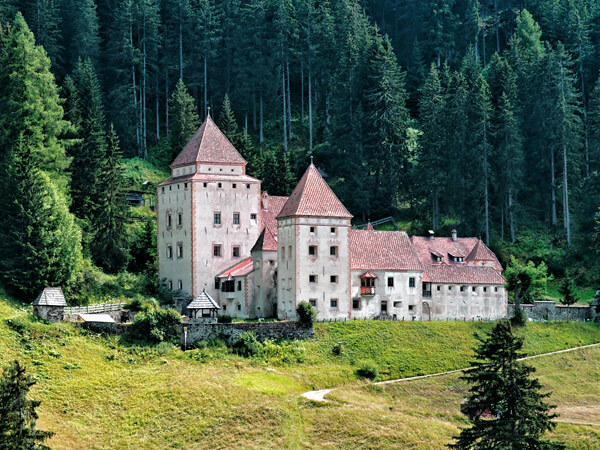 The castle dates back to the 13th century and was headquarter of the Tyrolean noble family Wolkenstein-Trostburg. 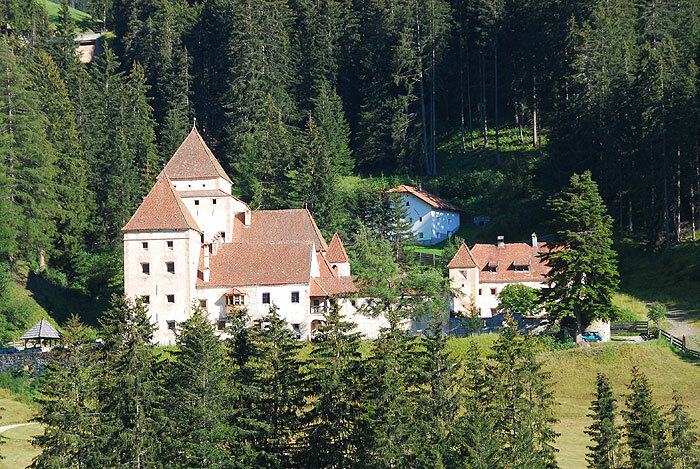 The castel Gardena is situated on a hill at the border of Selva and S. Cristina. The summer castle and hunting lodge was commissioned by Engelhard Dietrich von Wolkenstein-Trostburg in the year 1622 and completed in 1641. Although Renaissance in style, its massive proportions are more reminiscent of the medieval art of fortification. The German name of the castle “Fischburg” refers to the fish ponds which were situated in the vicinity in former times. In the year 1841 the castle was given to the communities Selva and S. Cristina for the construction of a poorhouse. Since 1926 the Castel Gardena is property of the Venetian baron Carlo Franchetti and is therefore not open to the public. In summer 2000 the remains of the legendary robber baron Stetteneck were discovered in Ortisei at the Pincan hill (Val d’Anna). The archaeologists found remains of the wall during test excavations and during further excavations large parts of the protective wall, the foundation of the main tower and remains of a Romanesque gate. The castle dates back to the 13th century and was mentioned only once in a paper from the year 1324. The robber baron Stetteneck became famous through the legends of the Dolmites by KF Wolff. 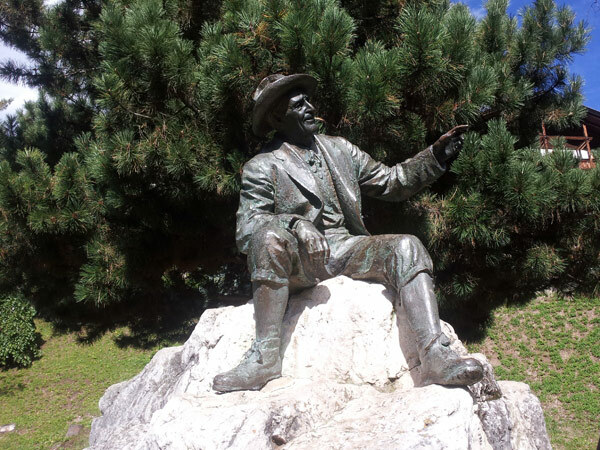 The memorial dedicated to the mountaineer, famous actor, producer and writer of Val Gardena Luis Trenker can be found on the promenade of Ortisei. Next to the church square is the memorial dedicated to Johann Baptist Purger located, who advanced, despite numerous difficulties, the construction of the Val Gardena road from Ponte Gardena to Oritsei. The carved wood monument in Vallunga Selva is dedicated to the alpinist Emilio Comici. The former mayor of Selva has done more than 200 first ascents in the Dolomites and had 1940 a fatal accident in the climbing wall „Parëi de Ciampac“ in Vallunga. The Monte Pana Sundial is of great interest to all hobby astronomers and chronometry experts. The sundial has a diameter of 2 meters and shows the apparent solar time for S. Cristina and for another 60 cities as well as the central European time. Furthermore the seasons, the end and the beginning of the signs of the zodiac, the equinoctial points and the summer and winter solstice are indicated. The world’s biggest crib is located in the sport centre Iman in S. Cristina. Thanks to the craftsmanship and the commitment of 18 wood sculptors from Val Gardena there are every year new figures of the crib family which can be seen in the year-round exhibition. The chimes with radio clock attached at the house „Sartëur“ in Selva, consists of nine bronze bells which play several melodies. At 11 a.m. and 6 p.m. (in winter at 5 p.m.) four carved medieval figures turn in a circle to the melody. The paintings show different handicraft trades of Val Gardena. In Bulla, a small village above Ortisei, corn mills from the 18th-19th century can be visited. One of the three mills, the Rumanon mill, was restored in 1999 and is nowadays functional again. The geological hike leads from the Passo Pinei to Bulla and shows the history of the Dolomites on several charts. The comfortable walk offers furthermore breathtaking views over the mountains of Val Gardena.